In a new collaboration this semester, the Grainger Museum is partnering with a Master of Architecture design studio at the Melbourne School of Design, where students are staging a pop-up exhibition at the Grainger Museum, opening Monday 11 September 2017. Taught by Stephanie Liddicoat, this exhibition design studio is at the nexus of architecture, art and curatorial practice. 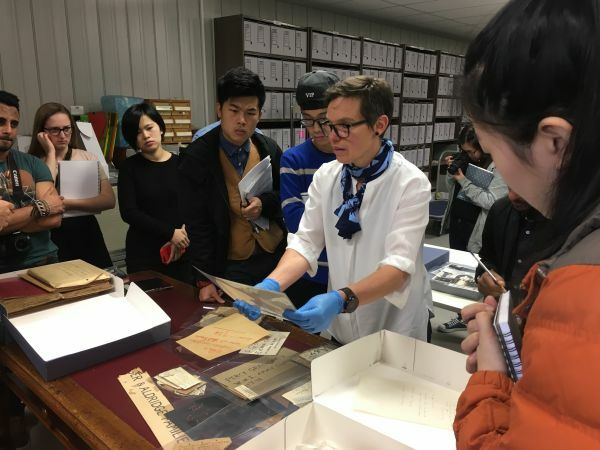 The student work involves visiting the Grainger Museum archive and making of critical responses to the primary material encountered. The work explores the situation of exhibition design within a broader theoretical and cultural-historical framework and develops an architectural vocabulary that respects the dynamism and narrative components of curation. Students are exploring spatial narratives, critically approaching the role of design in relation to human behaviour, client engagement and response to archival material. The exhibition will be open to the public and also include a series of lunchtime talks where students will be engaging with visitors to promote dialogue and discussion around the work generated.